So begins “Zama,” the pitiless new picture from writer-director Lucrecia Martel. Based on a 1956 novel by Antonio de Benedetto, it’s an absurdist folly pitched somewhere between Joseph Conrad and Samuel Beckett. Set in a deliberately undefined and semi-abandoned, 18th-century hellhole, the film charts a dull-witted bureaucrat’s slow-dawning realization of his own irrelevance. With a richly textured visual technique and bone-dry humor, Martel takes no small pleasure in depicting the gears of colonialism grinding up its own. It’s a very funny movie for those of a certain sensibility, amusing in that bitterly ironic way Kubrick’s “Barry Lyndon” makes some of us giggle ourselves silly. 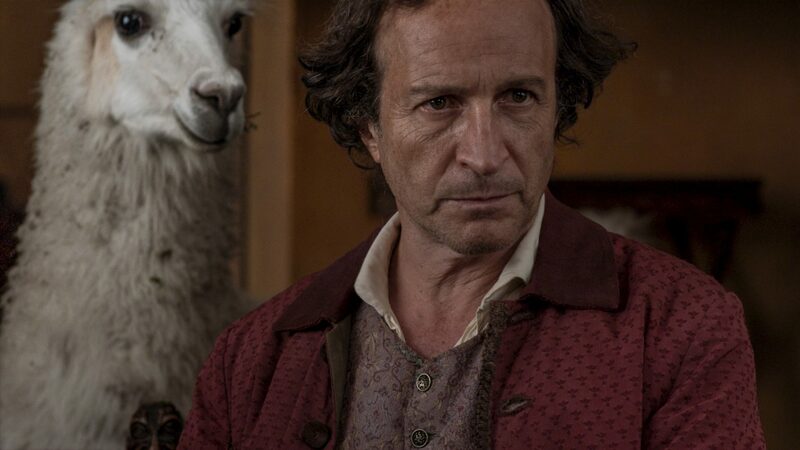 As Don Diego, star Daniel Giménez Cacho has a regal bearing similar to that of the late Ben Gazzara, and likewise uses his stern affect to reap ridiculous rewards as “Zama” cheerfully undercuts him at every turn. He’s mocked by his would-be mistresses, outsmarted by his underlings and constantly sending letters to a faraway wife and family who long ago stopped writing him back. Time and again Don Diego has applied for a transfer back to Buenos Aires, which he waits for like Godot. “Work is scarce here these days,” he sighs to an assistant, as the years pass slowly in a static torpor. Despite playing the title character, Cacho isn’t even photographed like the star of his own movie. The opening shot in retrospect revealed as mockery, for the rest of the running time, Martel and cinematographer Rui Poças stuff Don Diego in far corners of the frames or into subordinate positions beneath more prominent performers. 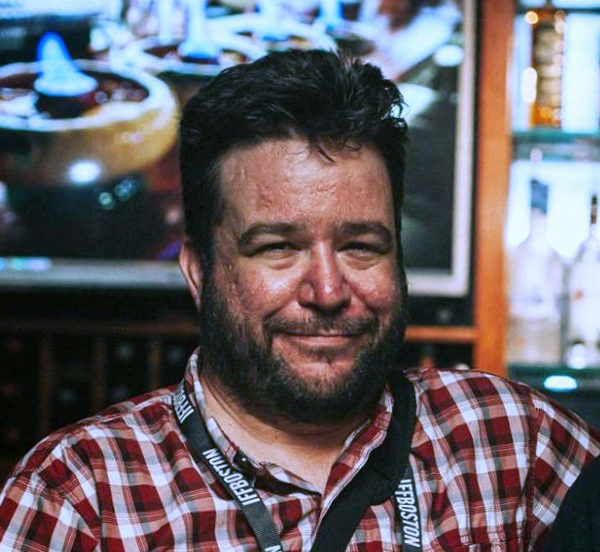 The actor himself appears to physically shrink as the movie goes along, worn down by a lifetime of disappointments and slights. By a certain point in the picture, every interaction begins to feel like an insult. 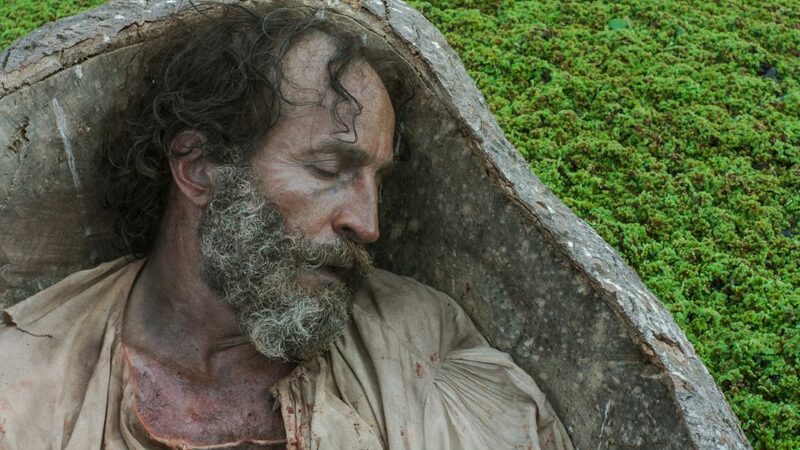 “Zama” is only Martel’s fourth film and her first in nine years, following the loose, bourgeoise-eviscerating trilogy of “La Ciénaga,” “The Holy Girl” and “The Headless Woman.” (When recently asked why such a long break between pictures she replied, “I don’t like making them very much.”) While “Zama” certainly savors its star’s comeuppance, it hardly feels like piling on considering all of the outrages and atrocities baked into these crowded frames. We’re constantly surrounded by slaves, with indigenous people carrying traders around in thrones strapped to their backs and images of dehumanization spread across the ruined landscapes. It’s easy to laugh at Don Diego, but the point is we’ve all got it coming. In the final half-hour our hapless hero, now bearded and elderly, at last attempts some sort of agency. Don Diego volunteers for what’s obviously a suicide mission in the jungle to capture a possibly mythical bandit named Vicuña Porto. Martel gets her Herzog on here for an extended finale of full-blown hallucinatory psychosis, with all-purpose boogeyman Porto and a ridiculous El Dorado quest for bejeweled coconuts standing in for similarly misguided incursions throughout history’s darker chapters. These surreal sequences have a slippery dream logic all their own, yet still circle back to the movie’s vision of life as a stark, cosmic joke, with incongruously jaunty guitar music singing out over the cicadas. 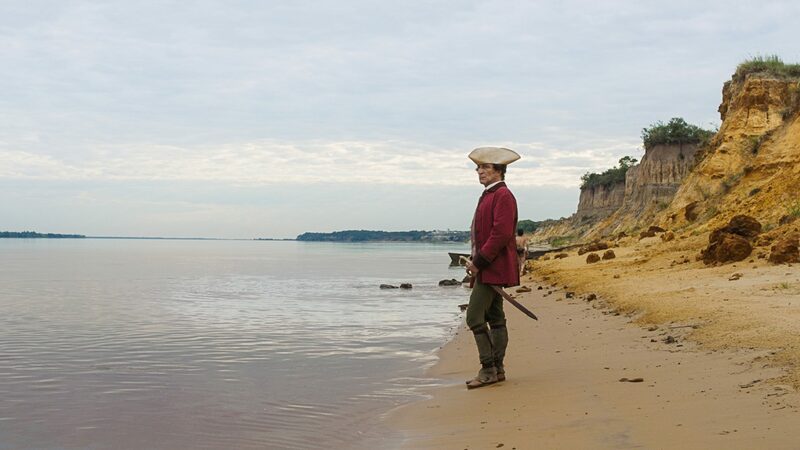 "Zama" opens at The Brattle Theatre Friday, July 6.